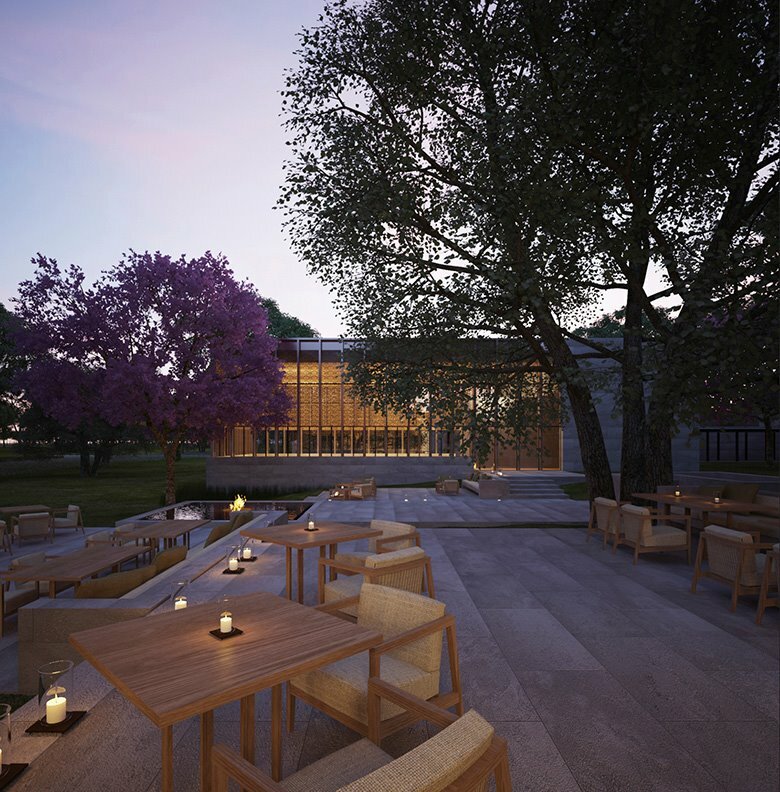 Amanyangyun will be the fourth hotel collection in China and the first in Shanghai. It all started in the mountainous province of Jiangxi - cultural center of eastern China - 800 km south-west of Shanghai. Construction of reservoirs in these areas posed a threat to thousands of camphor trees and dozens of houses that belong to the Ming and Qing dynasties. For ten years, the entrepreneur Ma Dadong from Jiangxi Province, together with Aman team tried to preserve these historical relics of China: transported about 10 thousand trees, including Imperial tree weighing 80 tons, and 50 mansions that have been restored to the smallest elements. 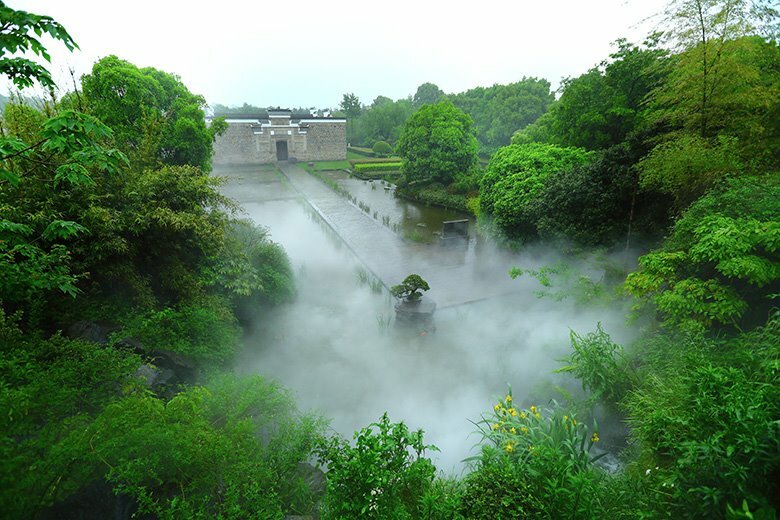 Today, these houses are one with the resort Amanyangyun, which is located 27 kilometers south-west of Shanghai on 100 thousand square meters. Amanyangyun is the ideal place for a relaxing holiday surrounded by nature from the bustling metropolis. Decoration design company is engaged in resort Kerry Hill Architects, which gave a new breath to mansions. Resort villa kept the spirit of the past: many of the buildings are decorated with decorative stone carvings that reflect the history of the family who once lived there. The resort are 13 historical houses, villas representing Antique Villas, whose area is from 800 to 1000 square meters. 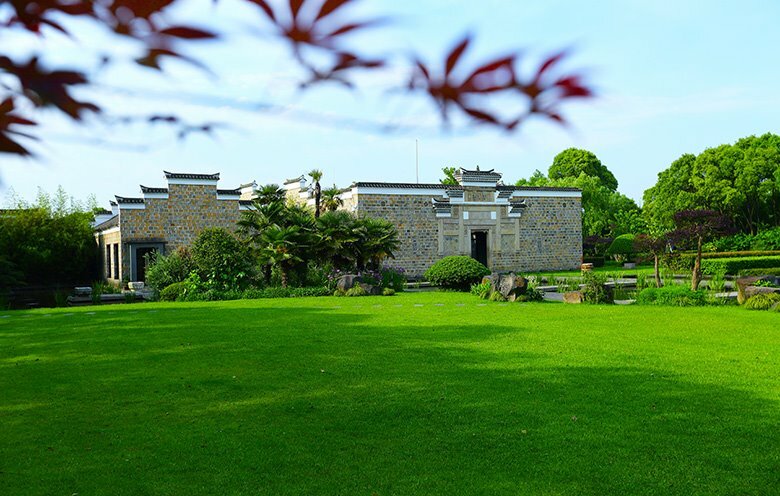 Each villa provides a swimming pool and jacuzzi, and be sure the patio, which is a characteristic feature of Chinese buildings of the past epoch. 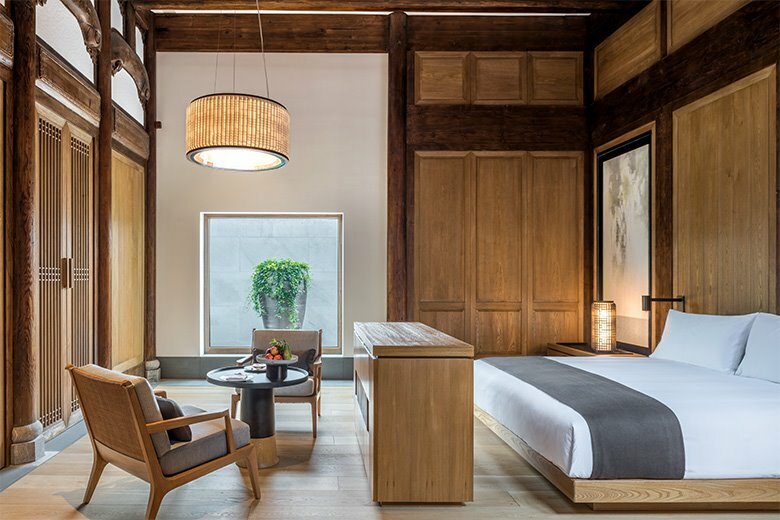 Also there are 12 restored houses of Jiangxi transformed into luxury residence Aman. As a result, the resort has received a truly lively and harmoniously combines modernity and authenticity. It has not forgotten about the luxury apartments - they are 24 apartments in the resort (Ming Courtyard Suites). 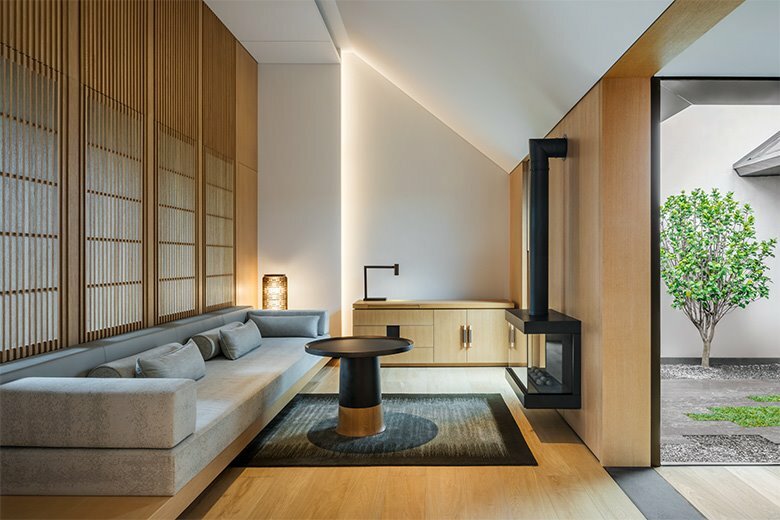 The interiors are decorated in light shades, with an emphasis on wood furniture and a minimalistic Asian style. Spiritual center Amanyangyun is Nan Shu Fang. In this pavilion with wooden furniture nanmu characteristic interiors Ming, concentrated areas of study and practice such crafts as calligraphy, painting, music. Do not forget here about the rooms for tea ceremonies, which are located around the courtyard. The resort Amanyangyun guests can not only enjoy all the splendor of nature and history, but also to take care of health and beauty in the Aman Spa. All spa programs in the Aman Spa, based on a special spa-diving, combining ancient healing methods of traditional Chinese medicine with modern technology. All restaurants and bars Amanyangyun elegantly decorated, in perfect harmony with nature. Be sure to advise to look into the restaurant Lazhu Chinese cuisine. Chef SteveMiao. He creates dishes that were popular during the Ming and Qing dynasties, combining the culinary delights with a classic Cantonese cuisine. Another cozy gastronomic place in the resort - restaurant Arva, located on the shore of the lake. The chef Andrea Torre is inspired by Italian cuisine, with an emphasis on the incredible pasta dishes, mozzarella or confectionery. Resort Amanyangyun opens its doors on 8 January 2018 and will be one of the brightest and even risky projects whose aim is to preserve the cultural heritage and the spirit of history. The atmosphere of this place is fascinating and allows you to experience time.